Fact: Boy band icons A.J. MCLean and Joey Fatone teamed up to perform a duet onstage at the former 'N SYNC star's 40th birthday bash at the weekend (28Jan17). The former pop rivals sang Backstreet Boys' hit I Want It That Way at the Ora nightclub in Miami, Florida. Quote: "He told me a while ago, and I kept my mouth shut. But now I can talk about it... Jessica is awesome. And Justin is a kid at heart." Former 'N Sync star Joey Fatone on rumours his former bandmate Justin Timberlake is expecting his first child with wife Jessica Biel. Quote: "I'm actually going to be going to Staten Island. My cousin is turning 40... so I'm going to be going to her birthday party. And why the hell would I attend? I mean, for Justin obviously, he's getting the Vanguard Award, which is cool. We heard about that, and that's when the rumours started flying about doing all this stuff... I haven't gotten a phone call or anything." 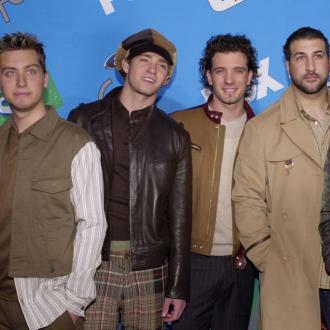 Former 'N Sync star Joey Fatone insists ongoing reports about a band reunion at the MTV Video Music Awards on Sunday (25Aug13) are false. 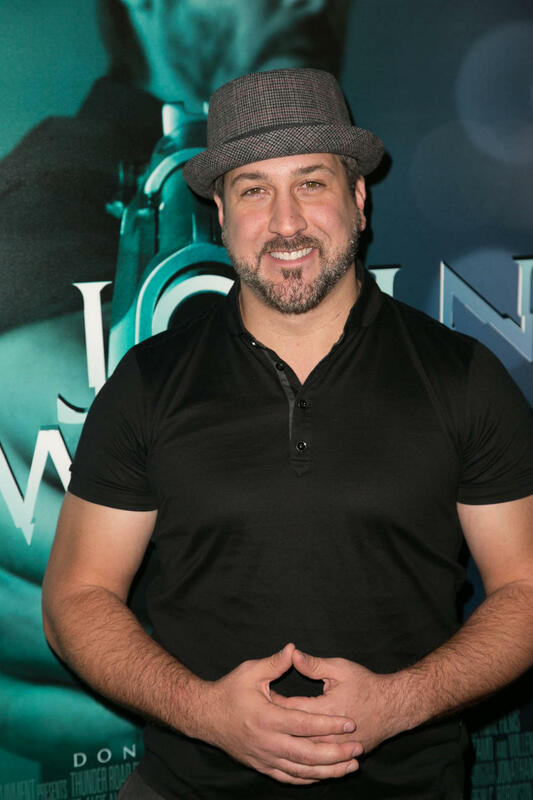 Fact: Former 'N SYNC star Joey Fatone became the latest celebrity to be booted from the all-star edition of U.S. reality TV show Dancing With The Stars. The singer's quickstep with his professional partner Kym Johnson failed to win over judges and he was eliminated from the competition on Tuesday night (02Oct12). Quote: "Not much is going to change. He's a great dude, and he's very focused on what he does and everything else, and I'm sure this will bring out the best." Joey Fatone is confident marriage won't change his former 'N Sync bandmate Justin Timberlake. The singer/actor is set to wed actress Jessica Biel later this year (12). 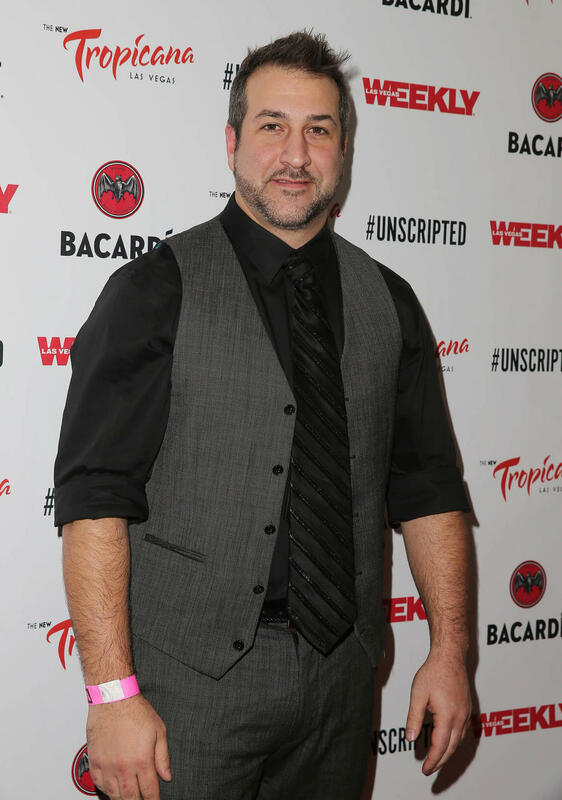 Fact: Former N'sync star Joey Fatone will set out across America in search of the best-kept family food secret as the host of new reality show My Family Recipe Rocks. The half-hour programme will premiere on 14 January (12). Fact: Musicians Joey Fatone, Coolio and Aaron Carter are set to star in new Food Network competition programme Rachael vs Guy: Celebrity Cook Off. The stars will compete for $50,000 (Gbp31,250) and the money will go to the charity of the winner's choice. The U.S. show, hosted by famous chefs Rachael Ray and Guy Fieri, will premiere on 1 January (12). Quote: "It's not just about dancing. It's about personality, too. And that Kim Kardashian, ugh, she has no personality at all. It was painful to watch." Former 'N Sync star Joey Fatone is not a fan of socialite Kardashian's turn on U.S. reality show Dancing With The Stars. Fact: Singer Joey Fatone is auctioning off a signed 'N Sync concert DVD and a souvenir concert-tour photo album on website eBay.com to raise funds for the American Heart Association. 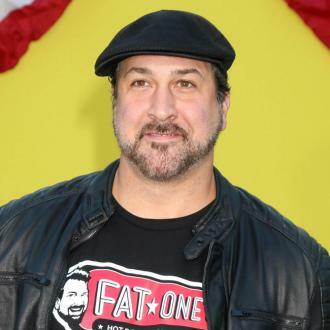 Fact: Former 'N Sync star Joey Fatone celebrated his 31st birthday with a gravity-free experience at the Kennedy Space Center in Cape Canaveral in Florida. The Bye, Bye, Bye hitmaker and pals floated around simulator G-Force One trying to catch M+Ms. Fact: Former 'N Sync star Joey Fatone owns one of the vehicles used as supercar KITT in '80s TV show Knight Rider. Fact: Kevin Federline and Joey Fatone were among the celebrities at Justin Timberlake's Los Angeles concert on Wednesday night (19Sep07). Quote: "You know that song where they sing, 'There's a bad moon on the rise?' I thought they were saying, 'There's a bathroom on the right.'" Former 'N Sync singer Joey Fatone grew up misunderstanding the lyrics to Creedence Clearwater Revival's BAD MOON RISING. Fact: Former 'N Sync star Joey Fatone has his wife KELLY's name and a red heart tattooed on his bottom lip. 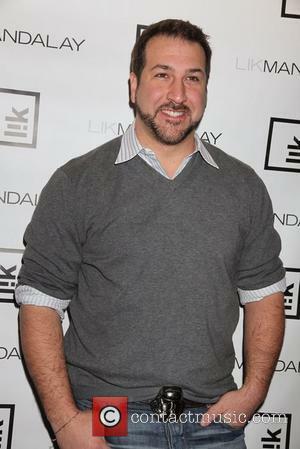 Fact: Former 'N Sync star Joey Fatone is to host a new U.S. TV karaoke gameshow called THE SINGING BEE. Fact: Olympic speed skater APOLO ANTON OHNO claimed the fourth Dancing With The Stars crown on U.S. TV last night (22May07) after beating Muhammad Ali's daughter LAILA ALI and pop star Joey Fatone in the final of the celebrity dancing contest. Quote: "My stomach doesn't get in the way when we hanky panky, I've got more stamina, I can breathe now, it's more of a marathon than a sprint; I'm happy." 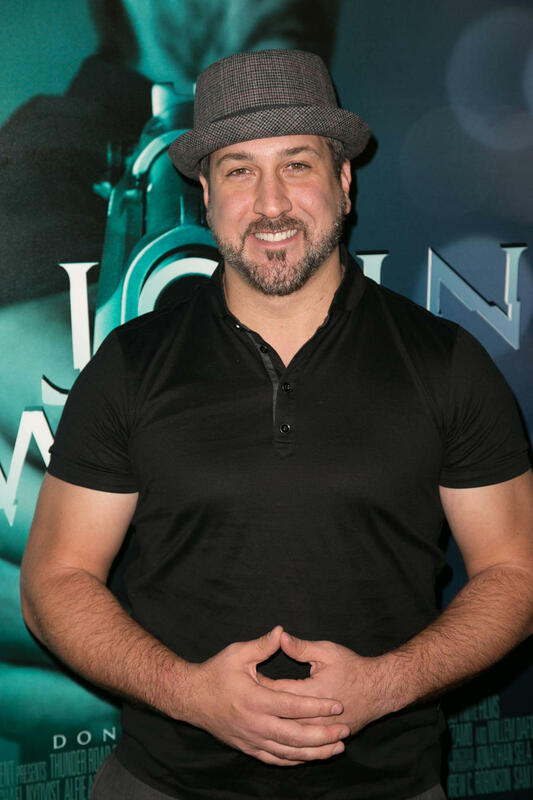 Former 'N Sync star Joey Fatone insists his wife loves his weight loss after he shaped up for U.S. reality TV contest Dancing With The Stars. Quote: "What is wrong with you? Your license was suspended. Obviously, get a driver!" Pop star Joey Fatone has no sympathy for prison-bound Paris Hilton.